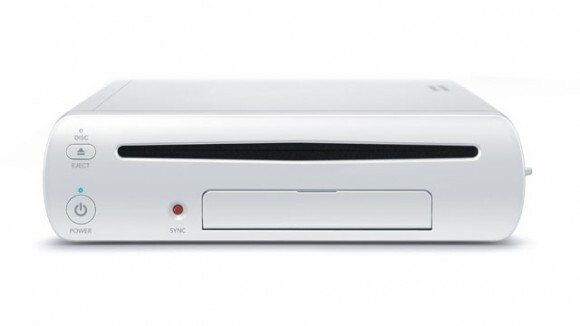 At E3 2011, Nintendo announced their next console the Wii U and at E3 2012 we were given more details on its specs, games and general release window. Recently, I was invited down to try out the upcoming console and experience just a few of the titles that will be available near its release. Now for those who may be confused, the Wii U itself is a new console and not just simply an add-on to the original Wii. 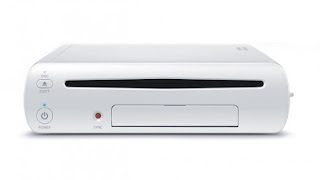 The actual console body is different/ slightly larger than the Wii and can play games all the way up to 1080p. What was concentrated on more was the actual controller used, a sort of tablet with buttons but the cool thing being that you don’t have to be using the TV in order to be playing a game. Ok so the controller or for the correct term, the Wii U Gamepad is basically like an Ipad except with the standard buttons and sticks you would see on a controller. One of the biggest doubts I initially had was how comfortable it would be to hold it since it was pretty wide but surprisingly it feels really good and all buttons, triggers and sticks can be reached very easily. The gamepad is also pretty light so there is no chance of gameplay stopping because of tired arms. So the screen on the controller is 6.2 inches and apparently can output at a resolution that makes its games still look good and playable. In terms of keeping up with what’s happening on the TV, it has no problem whatsoever and suffers from zero lag. Visuals look good however when staring at a big screen for the last 30 mins and then switching to smaller one, it takes more than a little to adjust and I feel will be one of the bigger challenges for the system. Another peripheral announced was the Wii U Pro Controller… yeah you heard it right, Pro controller a somewhat cross between what is available on the PlayStation 3 and Xbox 360. The controller itself is pretty light but at the same time feels flimsy and for a moment I felt that if I gripped hard enough, the controller would break. Compared to the Xbox 360 D-Pad, the Pro Controller features a much more comfortable and fluid one, and surprisingly having the analogue sticks near the top feel just as great as having them at the bottom of the PlayStation 3 pad. I’m not sure whether it was the final version I was being shown but I did notice a significant delay in button press when playing Ninja Gaiden however with no release date yet announced, there is more than enough time for tweaks or a revision. 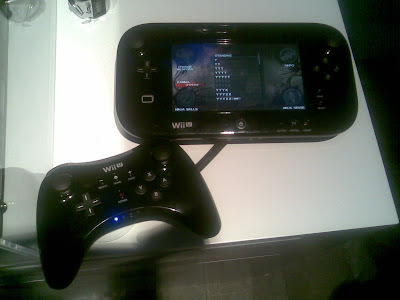 The Wii U is a slightly more curved and bigger version of the Wii. While all these announcements are fine and dandy, the one thing I was mostly interested in were how these aspects come together to create unique and interesting ways to play games? Yes, you could call it a giant DS and surely Nintendo didn’t do such a great job with details when it was initially announced but I can say with confidence that the company that always seem to have brought something new to the table have done it again this time. In terms of how actually powerful the console is, well I couldn’t really say but seeing as we kind of seen how far the current gen consoles can be pushed and we’re yet to see what the Wii U can do, it seems to hold a lot of promise. Remember that the console has enough power to output up to three devices, the TV and two Gamepads so that gives us just a small hint of what’s to come. The E3 2012 showing of games didn’t seem to do Nintendo any favours on proving its console is the real deal, however after holding it and experiencing it for myself, I feel a lot more positive about what can be done with it. It’s far too early to make any conclusions but if there is one thing we all learned is that we should never count Nintendo out.